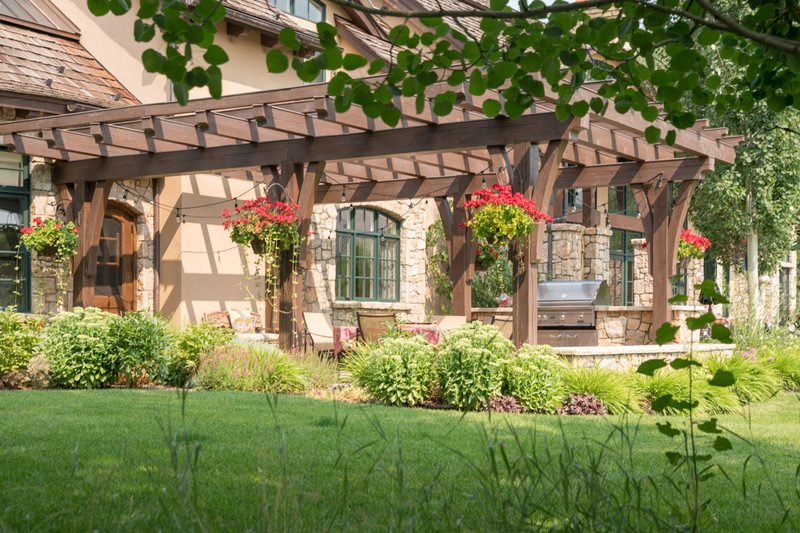 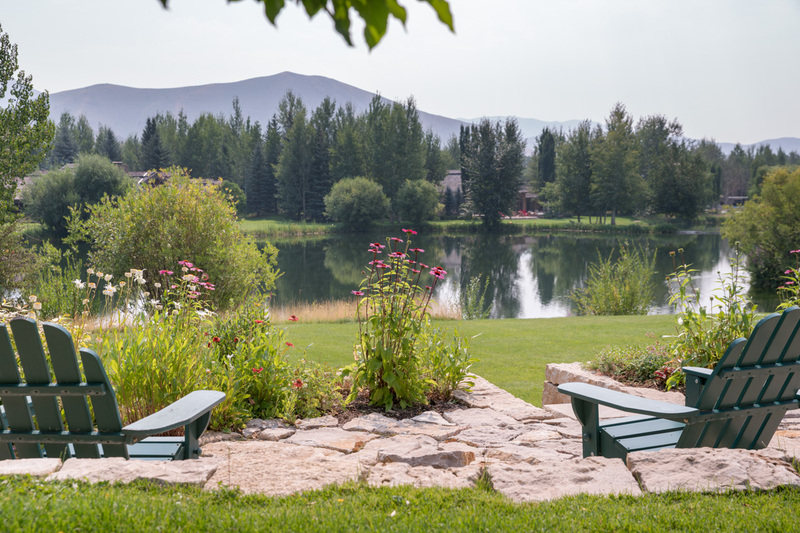 Nestled on a lake in a private development, Eagle Lake Estate is a grand mountain property on sprawling, manicured grounds with gardens, a fire pit, outdoor lounge areas and mountain views. 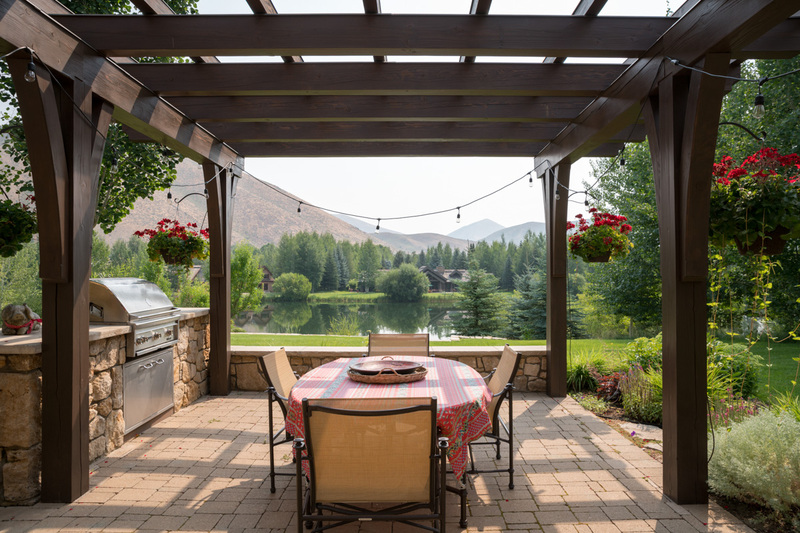 The mid-valley property sits less than 10 minutes from skiing at Sun Valley and the lively town of Ketchum. 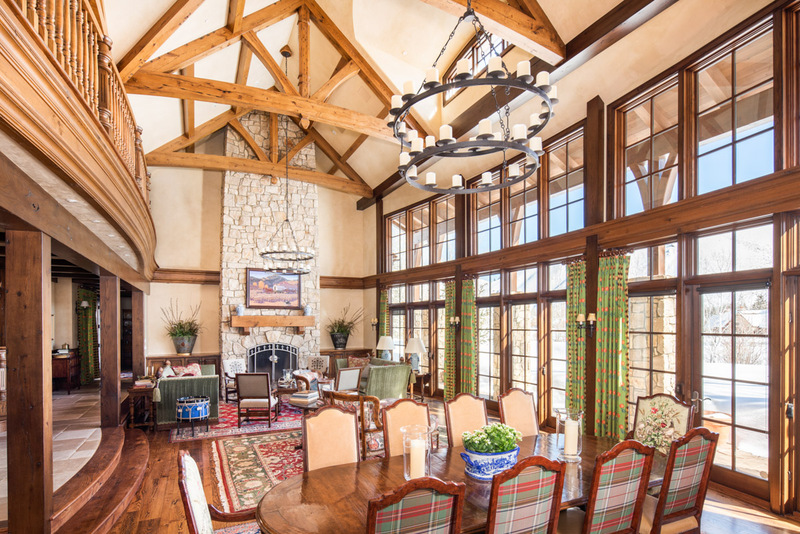 Vaulted ceilings and full-length windows create a feeling of indoor, outdoor living throughout the 7,000 square-foot home, with views overlooking the lake just outside and mountains in the distance. 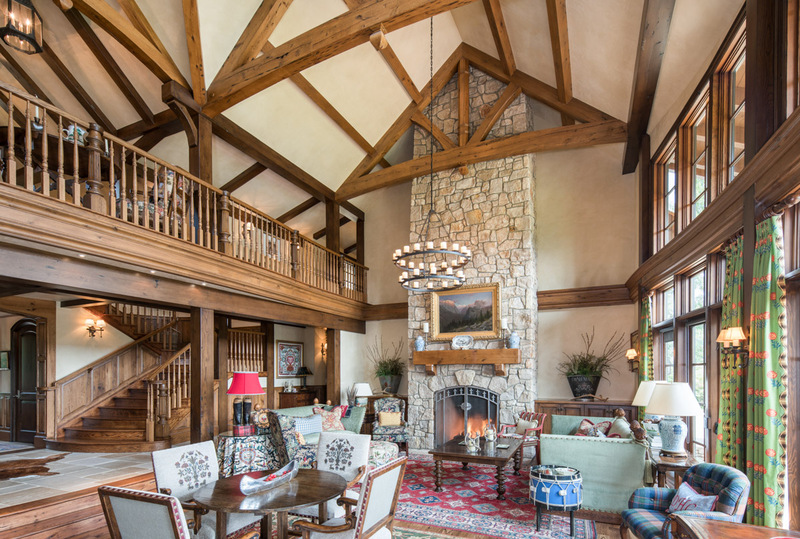 The two-story great room, styled with hardwood beams, a cast-iron chandelier and evokes the feeling of a vintage mountain lodge, with two full-length sofas framing a great stone fireplace, eclectic accent chairs, and a four-seat card table. 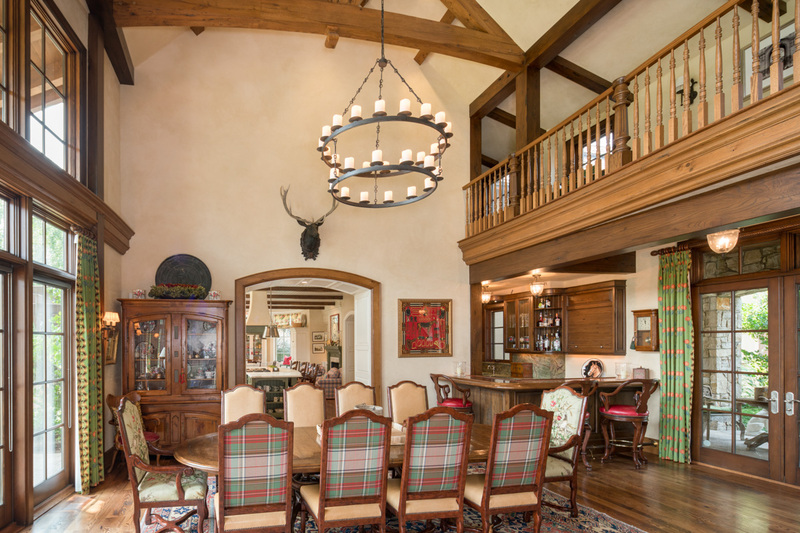 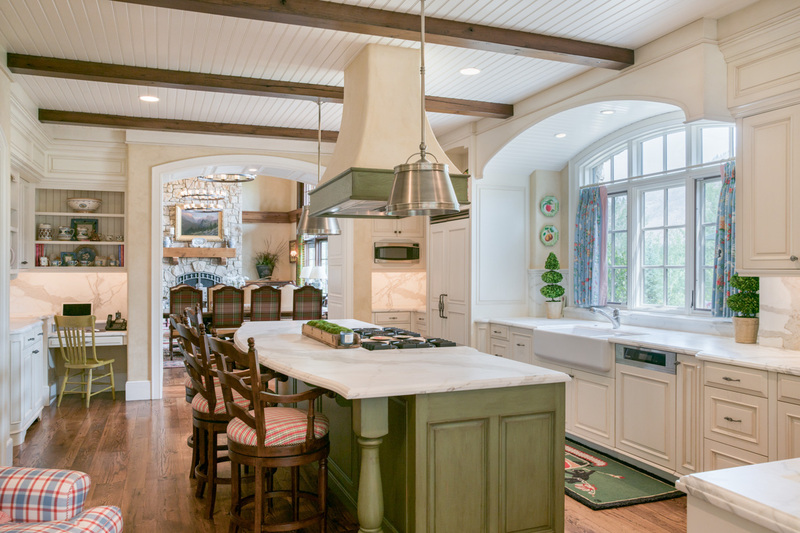 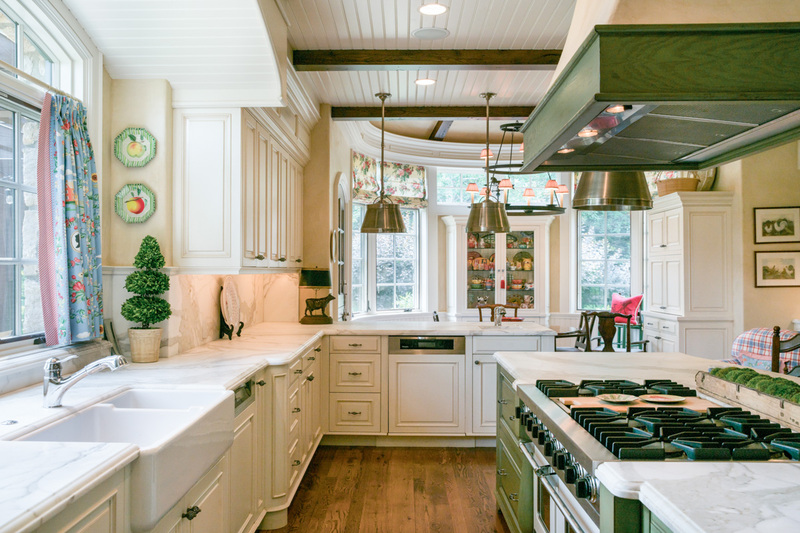 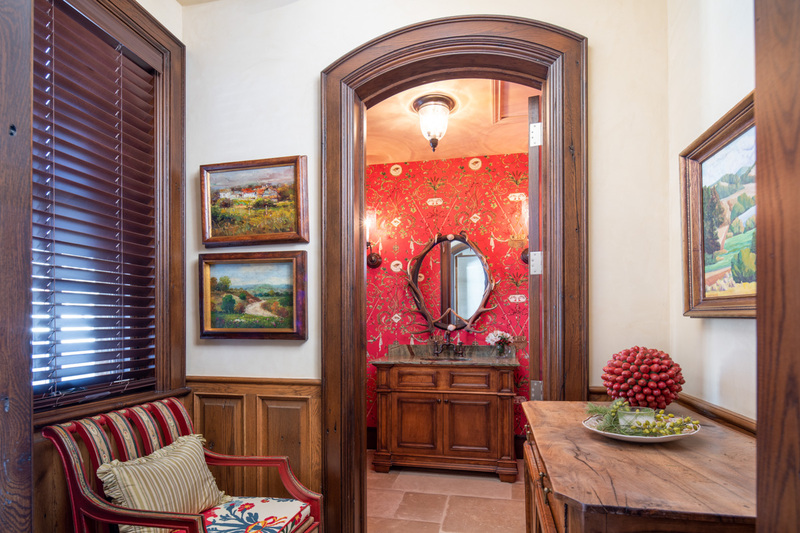 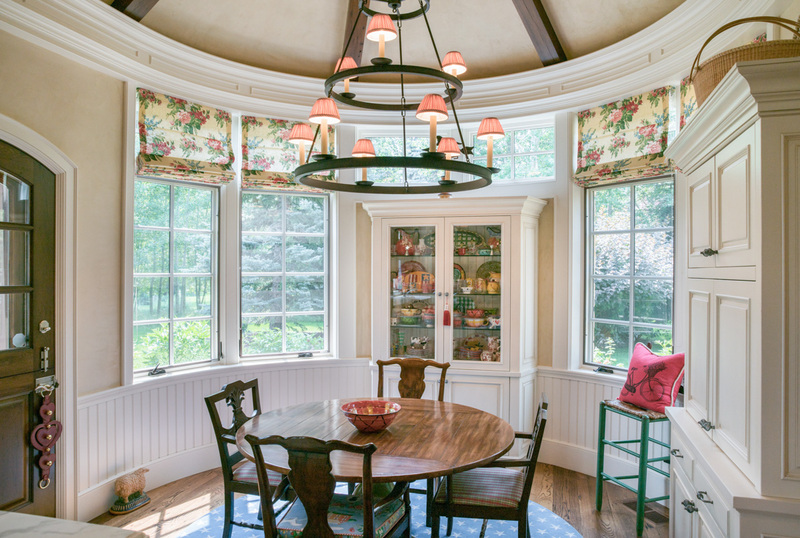 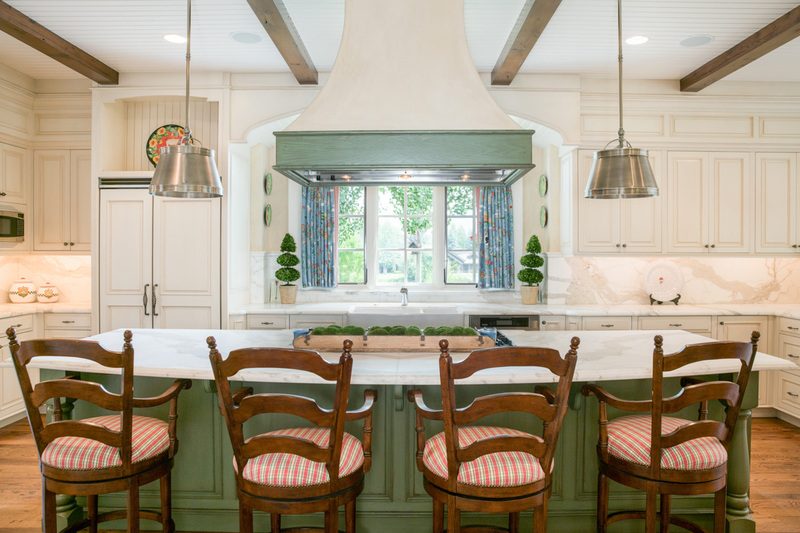 Every room in the home invites relaxed gathering and conversation, from the 10-seat formal dining area, to the European-style gourmet kitchen, complete with two armchairs nestled in front of a fireplace and four seats at the breakfast bar for morning coffee. 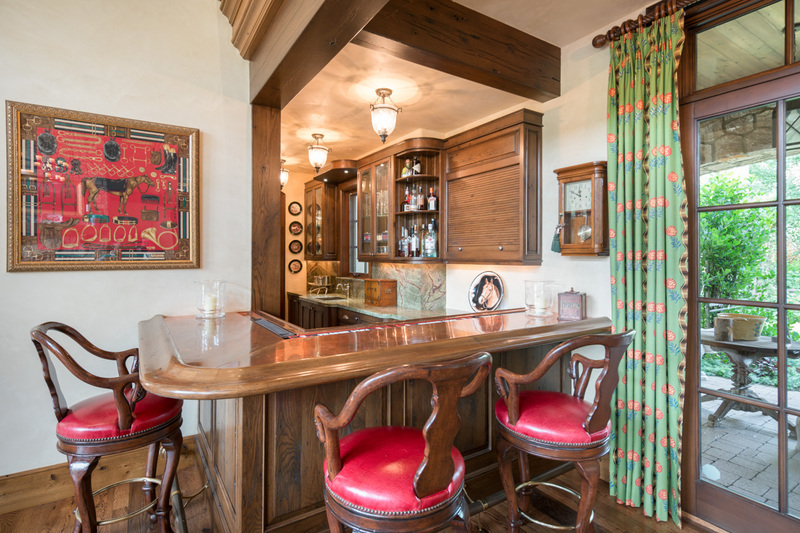 Between the kitchen and dining areas is a separate bar with three stools and a TV. 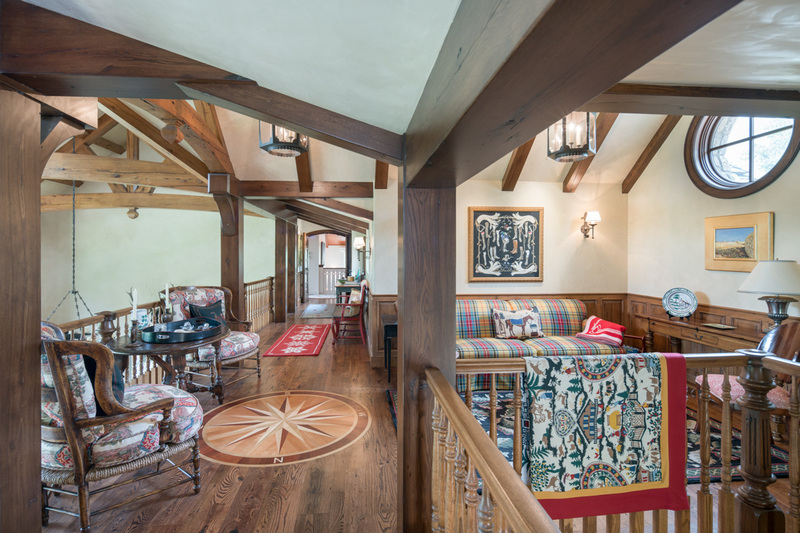 On the mezzanine above the great room, artfully arranged sofas and armchairs invite daydreaming, reading and catching up with friends. 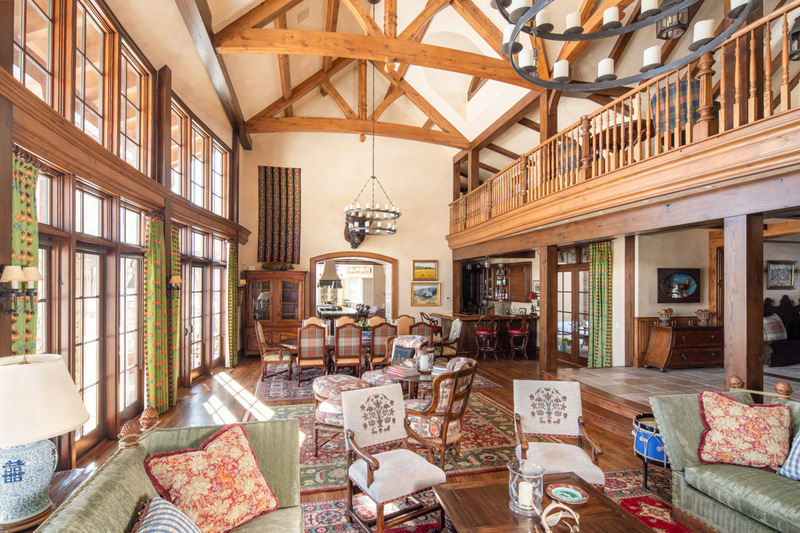 High-end furnishings and artful accents add a feeling of chic design to the cozy “ski lodge” atmosphere, including unique, framed Hermes of Paris scarves throughout the home. 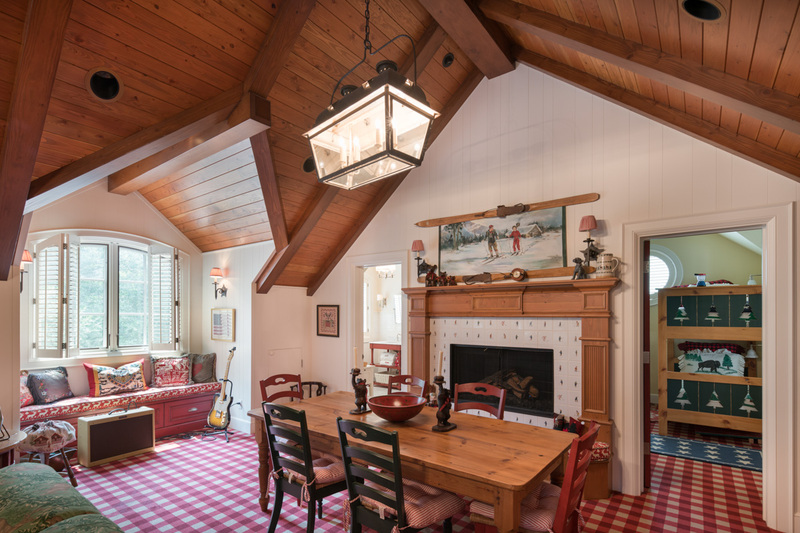 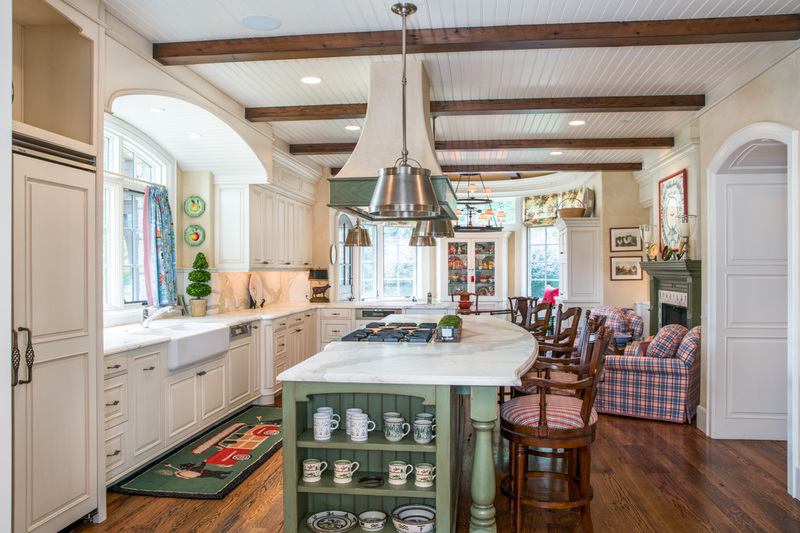 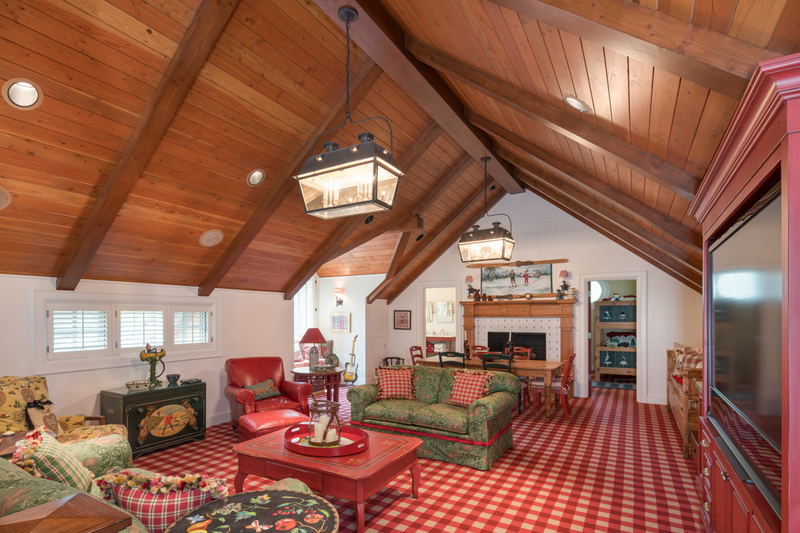 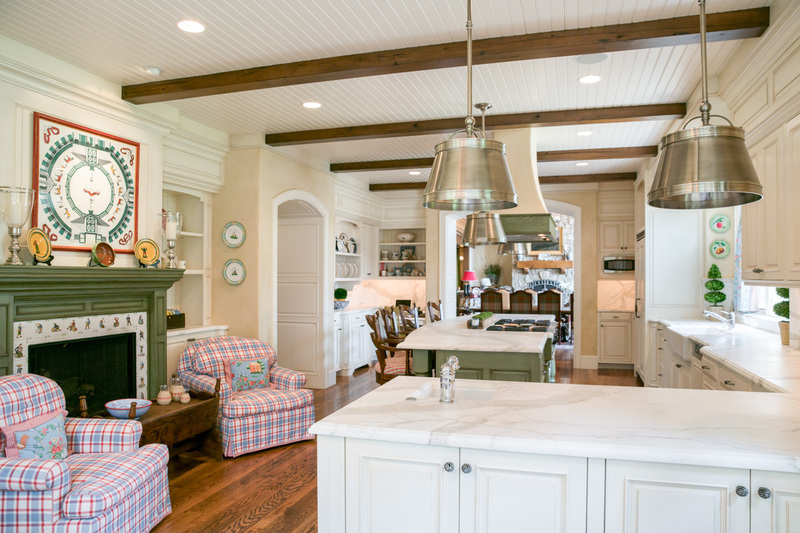 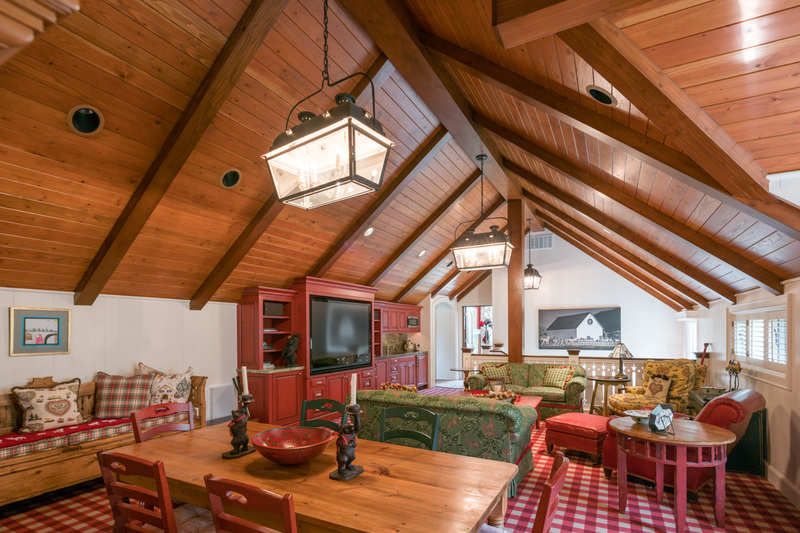 Four of the five bedrooms are located on the upper level, which also features a cottage-style living area, with vaulted ceilings, a fireplace, full-length TV and an informal dining table. 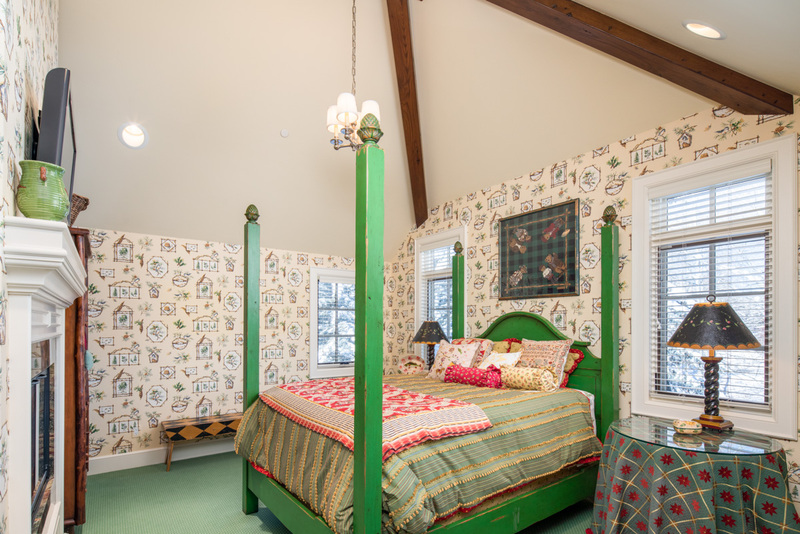 Located off this room is a kids’ room with two sets of twin bunk beds and an en-suite bath. 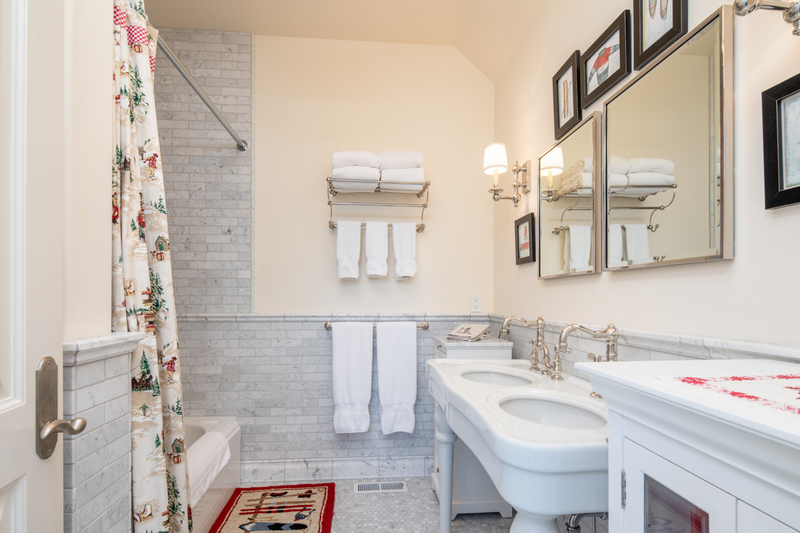 In addition, there are two queen suites and a king suite, each with an en-suite bath, fireplace and flat-screen TV. 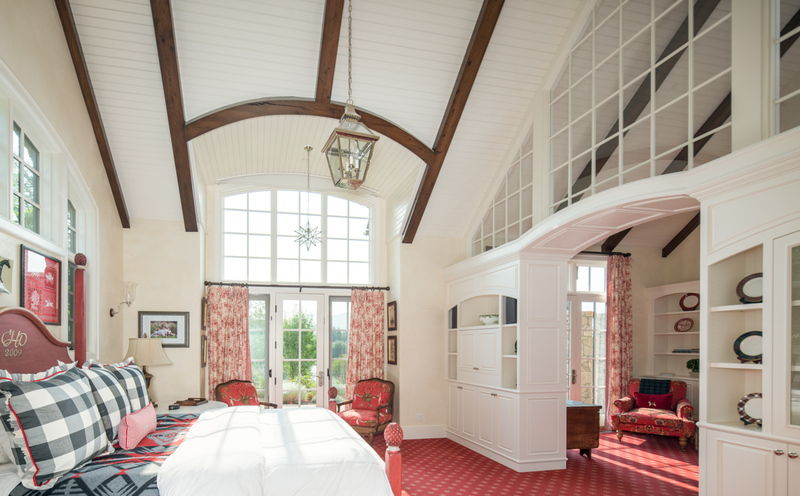 The king bedroom also has a private entrance to the outside balcony. 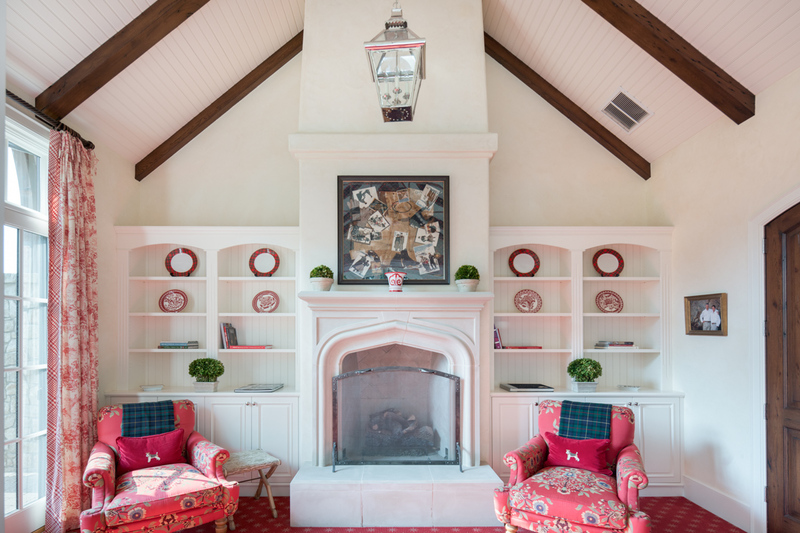 The master suite, located on the main level, offers total privacy and stunning views with floor-to-ceiling windows overlooking the lake and lush grounds. 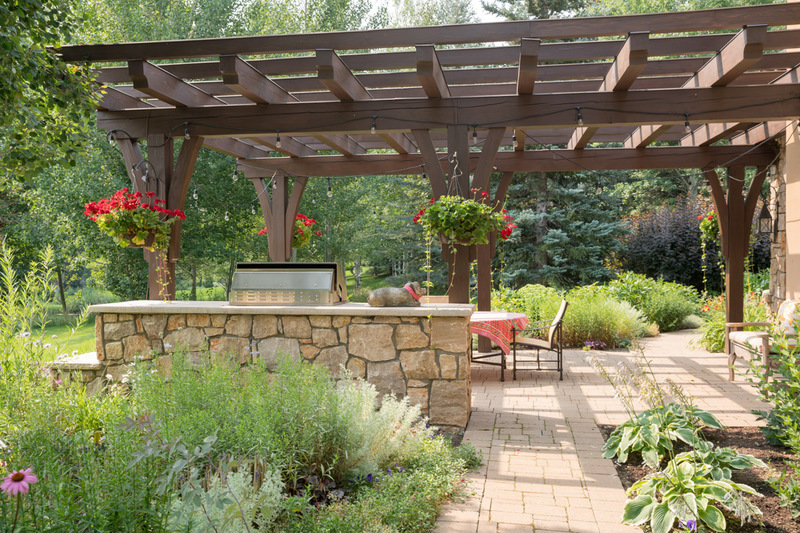 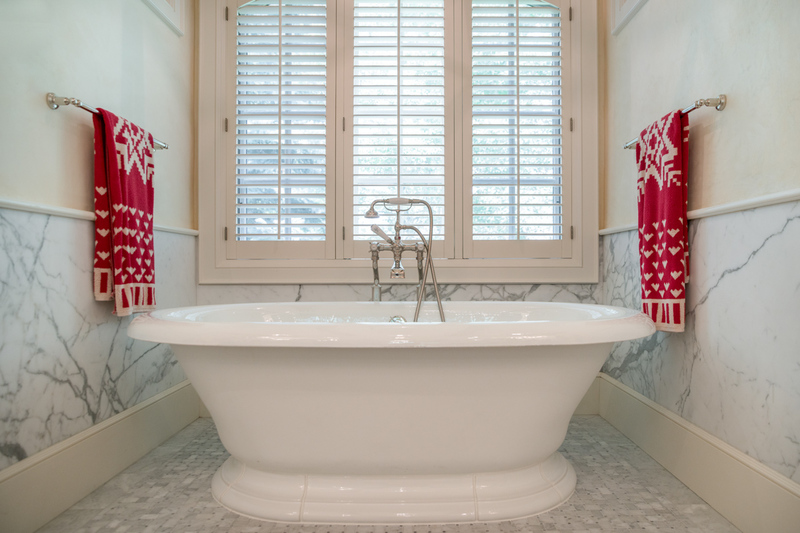 Steps from the king-sized bed are French doors leading to an outdoor hot tub and lounge area with a fireplace. 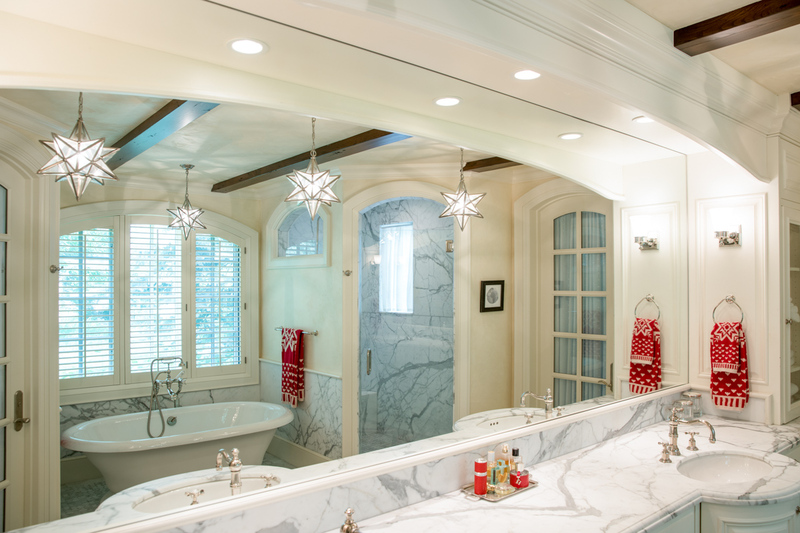 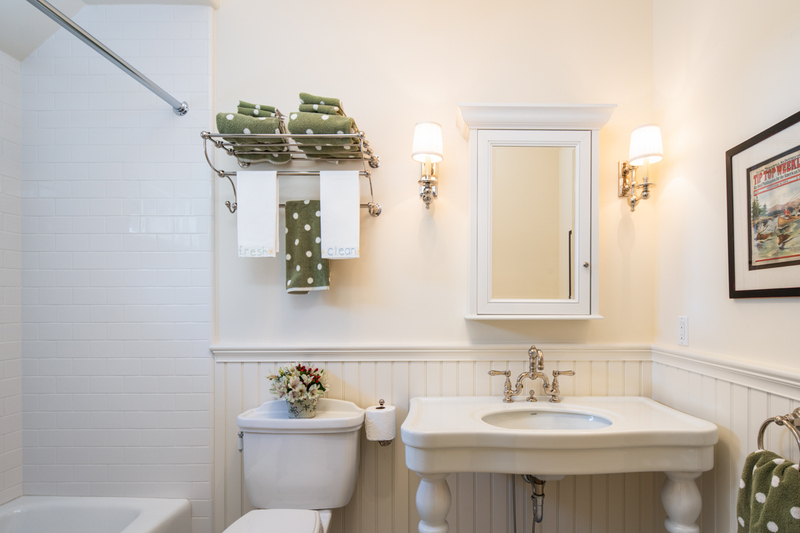 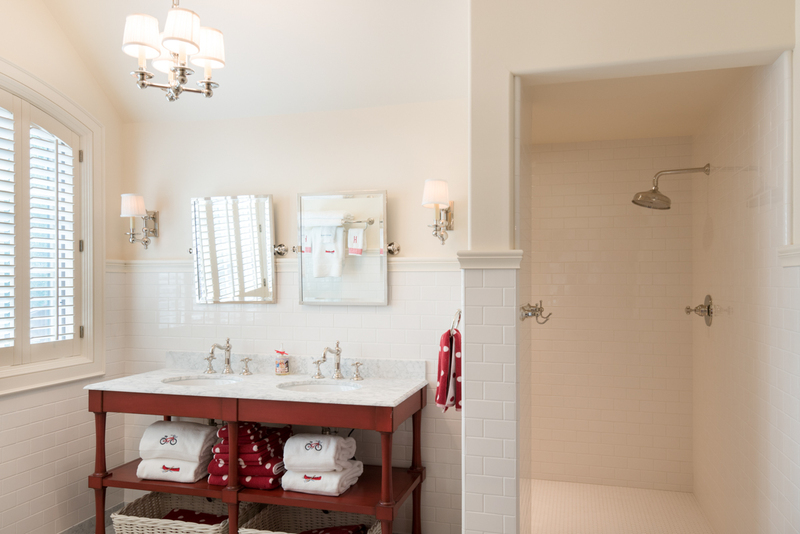 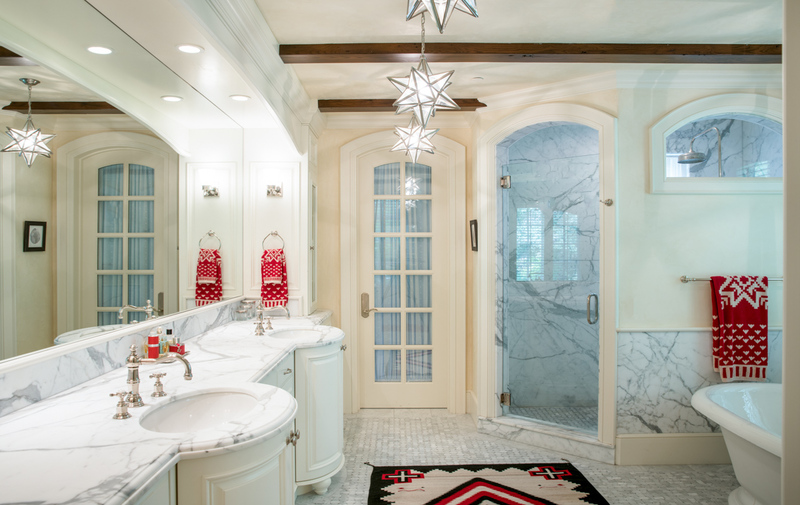 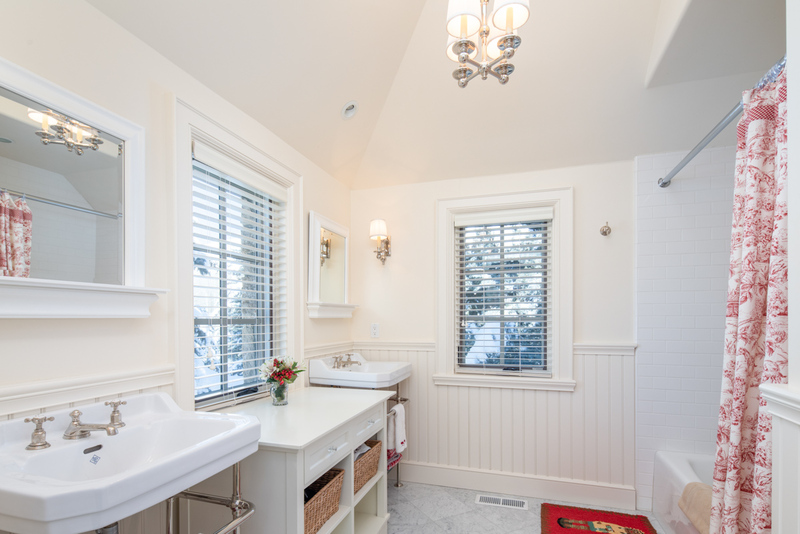 For indoor relaxation, the en-suite bath features a luxurious soaking tub, while a separate sitting area offers a cozy place to curl up in front of the fireplace with a good book or watch a movie on the flat-screen TV. 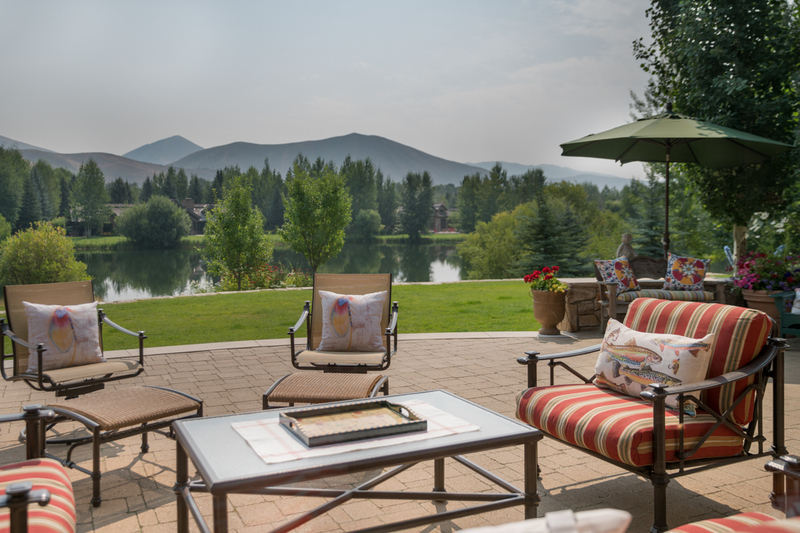 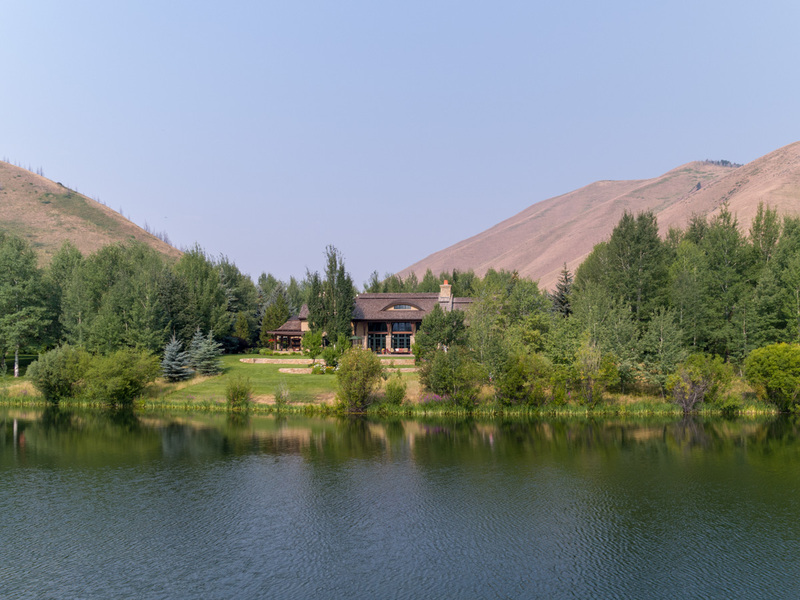 Outside, multiple lounge areas invite year-round stargazing, al fresco dinners from the BBQ grill and quiet contemplation surrounded by mountain views, a pristine stocked lake, and masterful landscaping. 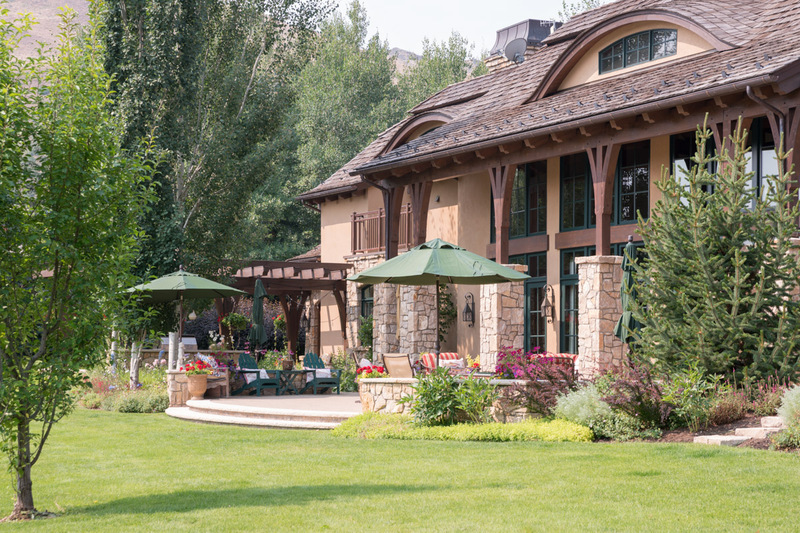 In the winter, watch kids play in the snowman-worthy yard or jump in for snow angels. 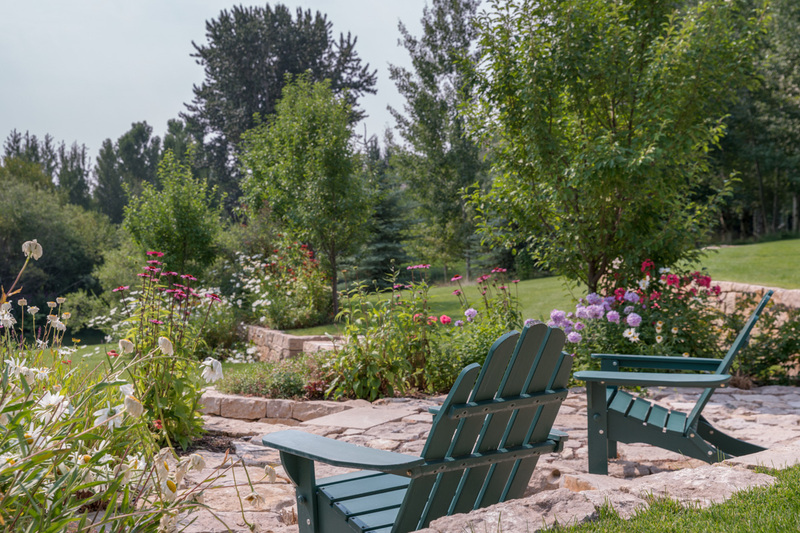 In the summer, wander through the landscaped grounds to take in colorful flower and tree varieties- also the perfect spot for a picnic. 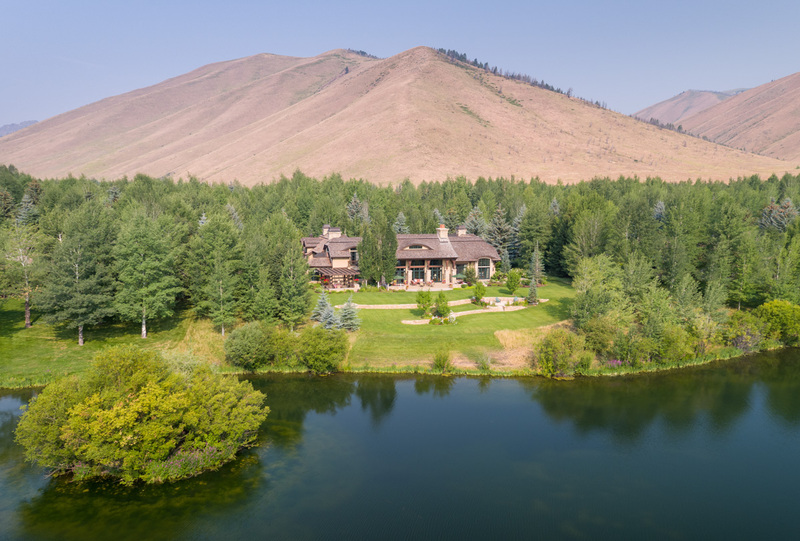 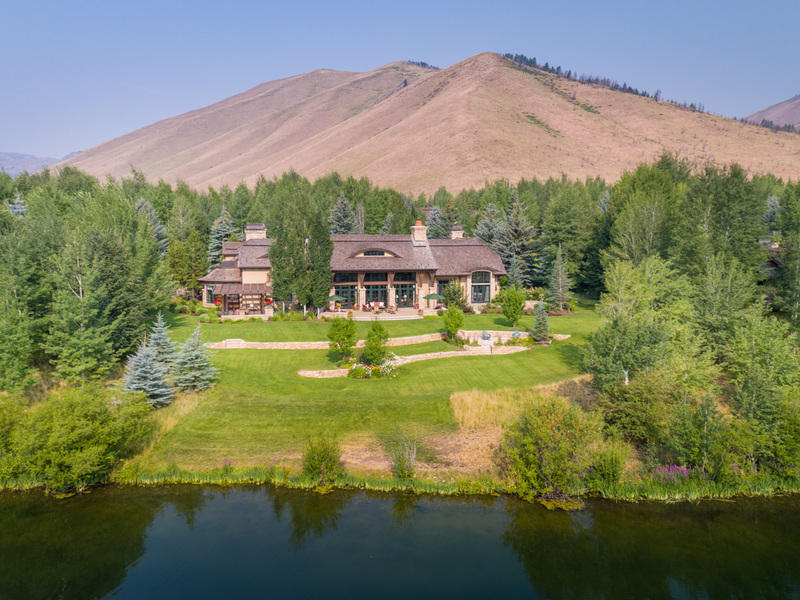 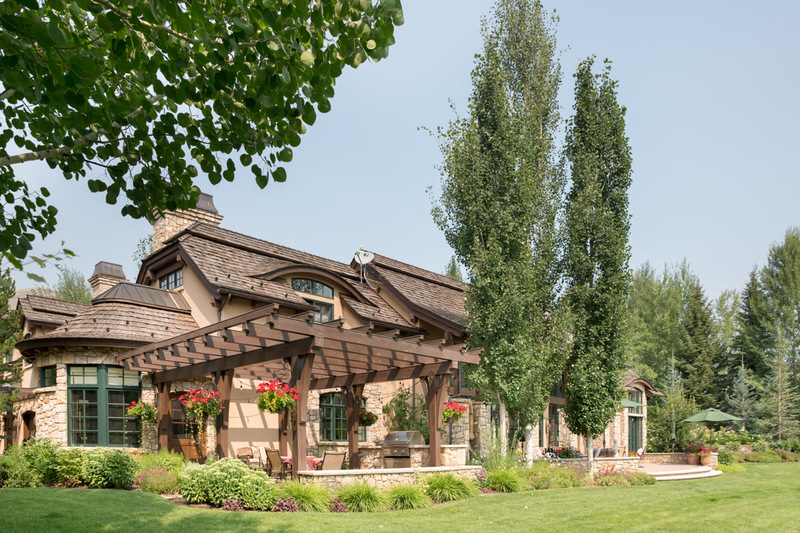 Room for two cars in the garage makes Eagle Lake Estate an easy homebase for skiing, hiking, biking, and exploring the shops, restaurants and entertainment in Ketchum. 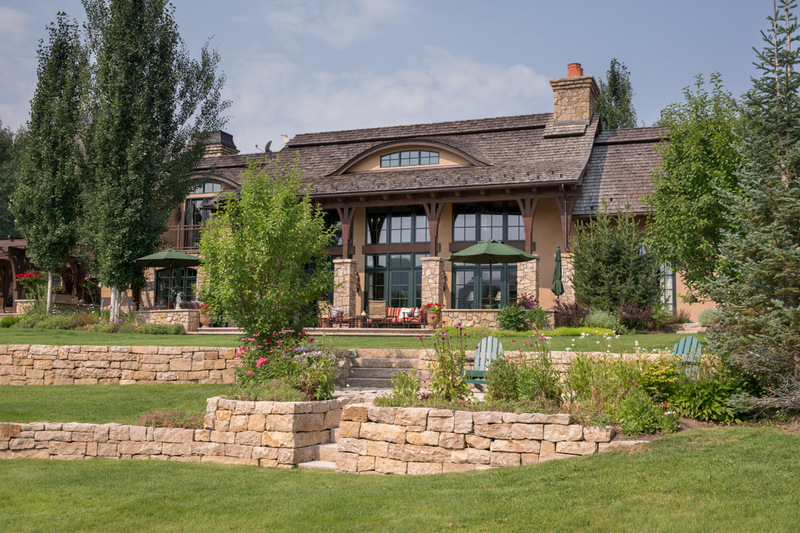 With world class mountain biking trails right outside the door, unparalleled fly fishing on the Wood River, and paved bike trails in the summer and groomed cross country ski trails in the summer, guests don't have to look far for adventure. 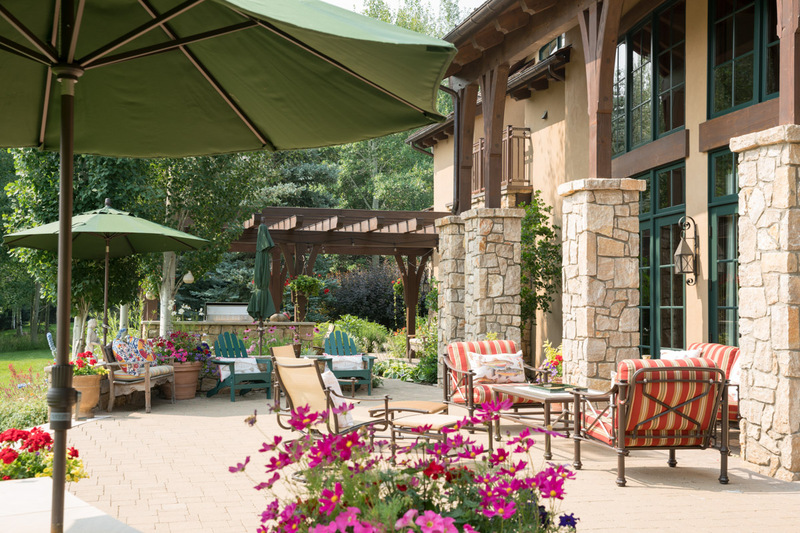 In addition, guests also have access to the Golden Eagle amenities including the community pool and tennis court. 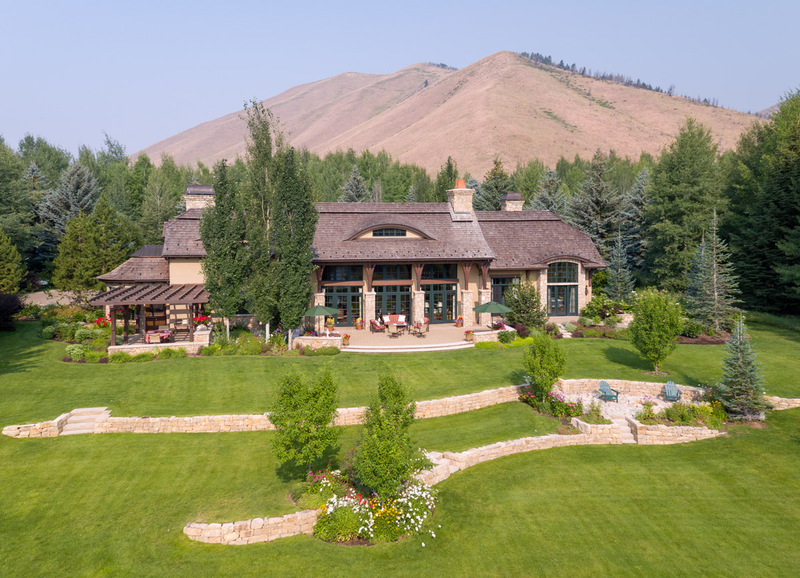 Of course, at an estate like this, you may want to entertain at home. 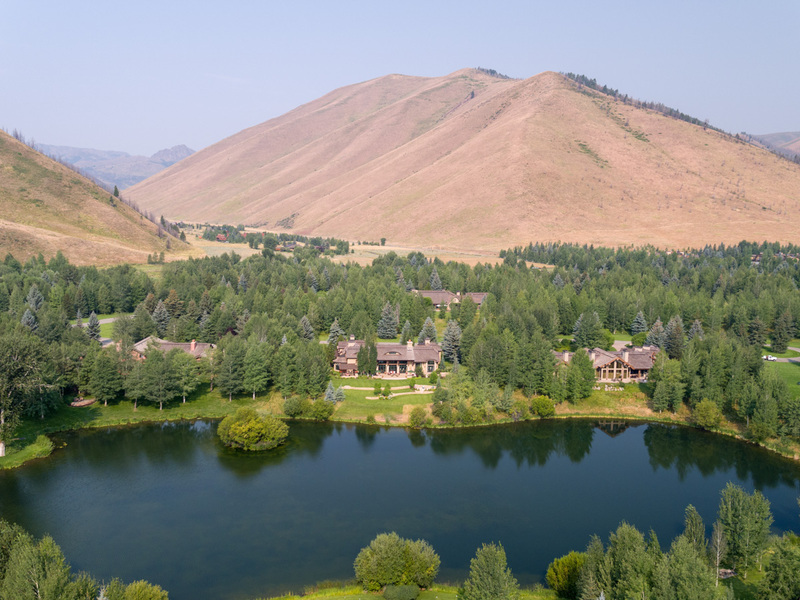 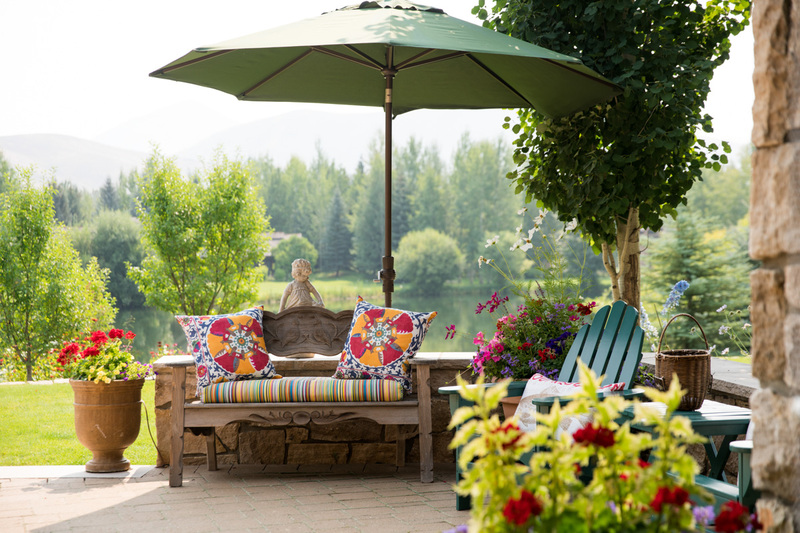 For family ski trips, reunions with friends or large gatherings, get in touch to make Eagle Lake Estate your lodge away from home in Sun Valley.